This is a blog that I wrote about four or five years ago. 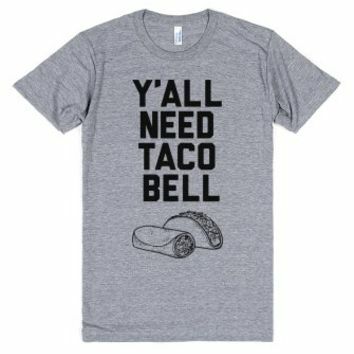 Taco Bell had come up with a silly diet plan to lose weight by eating their food. Of course, it failed miserably. This blog is an oldie but a goodie. Enjoy! I have been itching to write this blog for three weeks now. Let me give you a little background. Three weeks ago, I had meetings that were essentially back to back. Unfortunately, I decided to schedule them close to lunch time. After the first meeting ran long, I only had 20 minutes to grab something fast to eat in order to get to my next appointment. The only place I could think of along the way was Taco Bell. Fabulous isn’t it? She lost 54 pounds by eating Fresco items at Taco Bell and making other sensible choices. Taco Bell makes it clear on their website that this is not a weight loss program. Really? Then why are they pimping out Christine in her incredible weight loss story? Here is the deal. The commercials on TV show fabulous looking Christine now and not so fabulous looking Christine then. What ties the two together? Christine lost 54 pounds. Does Taco Bell state that this is not a weight loss program? Sure. In the really tiny, tiny fine print at the bottom of the screen. But once again we get to what makes Americans tick. Overweight Joe and Jane American are going to see that fabulous looking Christine lost 54 pounds and ate at Taco Bell. Woo hoo!!!! That means they can go to Taco Bell, order ohhh…..at least 6 or 7 Fresco tacos and look like fabulous Christine! What a deal! Ah ha! 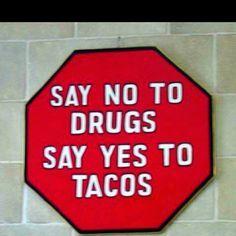 But you can eat more Fresco tacos and be okay. Because that is what Americans do. If it says low fat they just eat more. This same scenario has played out with our friend Jared from Subway as well. I am thrilled that Jared and Christine have lost so much weight. Continuously eating sandwiches and tacos does not lead to weight loss. I don’t care how many times you say that this is not a weight loss program. You can have all the disclaimers that you want, but by putting before and after photos of people who have lost weight in your marketing then you are marketing a weight loss program. Also, anyone can restrict their caloric intake and lose weight. That’s what fabulous looking Christine did. Why do you have to go to Taco Bell every day? You can listen to Taco Bell’s advice of, “For a healthier lifestyle, pay attention to total calorie and fat intake and regular exercise.” What a concept huh? Good for you Taco Bell. Why don’t you make this your new marketing campaign? Call me. We can make magic together.